Reynold has 10 years of finance experience, and is licensed to originate in the state of Louisiana with the Nationwide Mortgage Licensing System (NMLS). He is passionate about building long lasting relationships with his clients while helping them achieve the dream of home ownership. 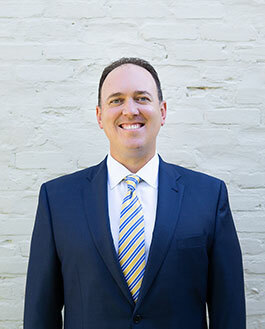 Originally from New Orleans, Reynold earned his bachelor’s degree in Finance from the University of Arkansas in Fayetteville and is a resident of the Denham Springs community. In his free time, Reynold enjoys spending time with his wife, Amber, as well as fishing, cooking, cheering on the Saints, reading, and playing golf. He is also active in his church where he teaches bible studies in the local prison systems.